FFT’s captain’s armband for gameweek 7 goes tooooooo: CALUM WILSON (6.0)! Boy, this lad has been more than just impressive! To be promoted into the premier league, and continue your game along the likes of Aguero, Costa and numerous others – boy, you need big, big cohones, or pure talent to rub shoulders with the best of the biggest football league. Not just rub shoulders, but also overshadow them! Coming to some stats, Wilson has scored 5 goals out of 6 game. Bournemouth’s next game is against Stoke city. Not a very difficult fixture, I would suggest. And given Wilson’s form as of now it seems pretty probable that he has a bright chance of scoring some good amount of points. *To be fair, an anti-theory to our predicament exists. 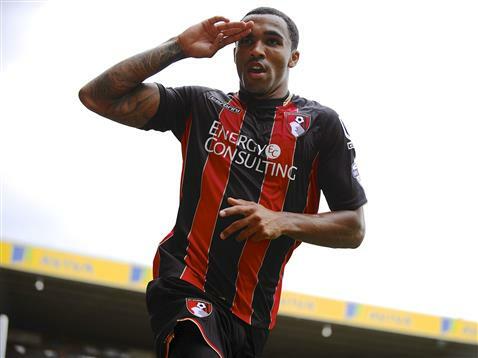 If you remember Bournemouth’s game against Norwich, you should understand what we are talking about. Stoke is a decent team which could be easily beaten, but the law of averages says otherwise. And we believe in such laws! So, for once we hope (and pray) that Wilson rides on his current form into this weekend’s game. Number TWO on the list of possible captain’s for gameweek 7, is the Argentinian dynamo – Sergio ‘Kun’ Aguero (13.1). Although Kun does not enjoy enough goals in the lasst few games (he had an assist in the last game), Manchester City play their next game against Spurs this weekend, who should be busy licking their wounds after their defeat at home against their recent game against their North London rivals. Also, Tottenham has not had a very spectacular defensive display so far in the season, Although having conceded 4 goals in their last six, but only managing to win 2 of those games. Which brings us back to Sergio Aguero. Usually should be the first choice for Captain, but given this gameweek’s situation, has to take the second position. Our final choice for the Captain’s position this gameweek is, well let me think about this one. I believe, this place should go to Riyad Mahrez (6.1). With 5 goals and 3 assists in 6 games, Mahrez seems to be the top contender for this week. However, Leicester City face Arsenal at home at this week, and as much as I support the later personally, I don’t allow for any bias to seep in as Arsenal are dying to secure a win after a frustrating start to the season, and the recent win against their North London rivals should prove to be the spark plug for their journey through the season. All in all, If I am proved to be wrong in this case, and if you decide to captain Mahrez, things should work out well for you. So that is what FFT thinks about this week’s captain’s. Have a different opinion? Let us know in the comments! Oh, you think we resonate enough? Then Share this! Because sharing is caring. And, caring means sharing 🙂 have a great weekend guys!